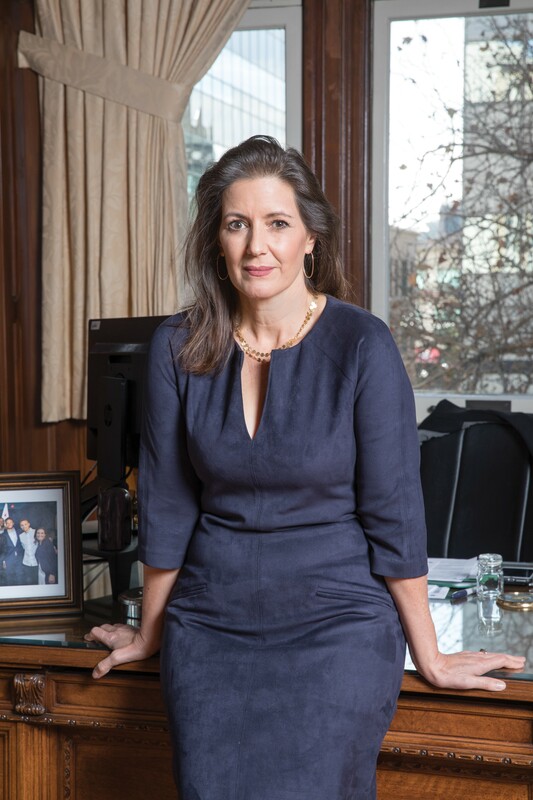 Libby Schaaf is the mayor of Oakland. Every woman who has set her sights on a position of power has also navigated the obstacles of sexual harassment and gender bias. Sometimes the harassment barrier is a clear and explicit physical violation. Sometimes it is subtler, an unspoken rule to just go along with the boys and "the way things work around here." In other instances, it's the judgment hiding in plain sight — the belief that women who work hard do so at the cost of their family's happiness. The law school professor who made a physical pass while I was working as his research assistant. That incident cast me into a period of self-doubt — had I been hired for my academic and legal talents? Or as an excuse to gain intimate access? How could I ever count on a reference from him? Like many young women betrayed by a mentor, it took time to untangle the impact of that experience and reclaim my confidence. Or the client who invited me to be his date to a Halloween party. At the time, I worked for a company that hoped to close a major deal. If I turned down the client's invitation, the unspoken rule was that I'd hurt our company's chances. If I said "yes," what were the expectations? I doubt my male colleagues ever made such calculations, nor were forced to develop an artful exit strategy. Finally, there's the judgment I and countless other women still face today: How can we possibly raise children and succeed in demanding professions at the same time? I heard this question often when running for public office. I wish I could say only men asked, but too often I received the deepest, and most severe condemnation, from other women. If women are going to attain leadership roles in our society, we all need to abandon the bogus premise that woman can't possibly work hard and raise a family. Yes, we can do both. That is what encourages me most about this moment. The brave women who have come forward and shined a light into the darkest parts of our culture have set the stage for a new future — a future where explicit violations won't be tolerated. Where subtle pressures will be exposed and called out. And where the in-plain-sight judgment against working women will evaporate. While I'm hopeful the power structure has learned a valuable lesson in the last two months, I'm also aware of the natural impulse for power under siege to close ranks. If we are to elevate this moment into true change, it will be women who steer the course. Therefore, one remedy to solve this societal ill is clear. More women in power now. More women of color in power now. When I am the only woman present in a meeting — and it still happens more often than I'd like — I realize how important my perspective is. And I realize that other traditionally underrepresented voices need more opportunities and pathways to join me at the table. Right now, the words "me too" represent a unifying phrase for victims and survivors who speak to the prevalence of the problem. I am hopeful that these words will become a rallying call for those of us who are committed to practicing radical inclusion — for those of us, both men and women, who consciously choose to obliterate the minefield of sexual harassment and gender bias so our daughters can navigate a clear and true path. Do you support that kind of equitable future?